Liberal-National Coalition MP Karen Andrews has stated that the Northern Australia Infrastructure Facility (NAIF) will not be providing federal funding for Adani’s Galilee Basin rail line port link out of the Carmichael coal mine in Queensland. 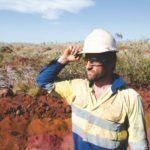 Yesterday’s announcement made by Andrews, the Queensland Assistant Minister for Vocational Education and Skills, is the latest in a series of setbacks to the contentious coal project; Adani’s application for the $900 million concessional loan will now have to be found from an alternate source. Andrews reiterated that while she had voiced personal approval for the project as an employment prospect, and that while Adani’s approvals were still in place, the Indian major would have to raise funds for the rail line elsewhere. 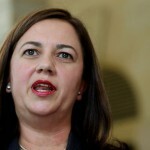 In December, Queensland Premier Annastacia Palaszczuk sent a letter to Prime Minister Malcolm Turnbull requesting a veto on a $1 billion concessional loan from the NAIF for Adani’s proposed railway project. Labor opposition, meanwhile, still hasn’t ruled out trying to stop the project; opposition leader Bill Shorten is currently competing against the Greens in a by-election battle for the Melbourne-based Batman seat.